BetSafe was launched in 2006 and are one of a number of gambling sites that offer multi-platform gaming, with a sportsbook and online casino sitting alongside the poker. 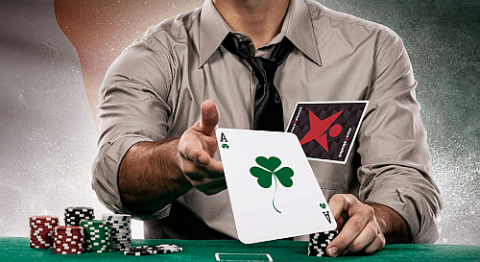 Unusually, BetSafe actually have two completely separate poker rooms – Poker Black and Poker Red. Poker Black is on the MicroGaming poker network, while Poker Red is part of the OnGame (recently rebranded as NYX) poker network. In this review I’ll look at each of the two poker sites in turn, detailing the range of games, the traffic and the playability at the tables. I’ll then move on to look at the promotions you’ll find at BetSafe and your all-important deposit options. I finish with a summary of BetSafe Poker. 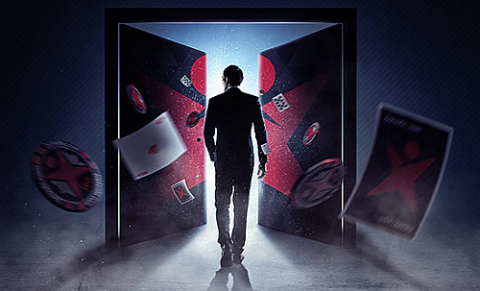 At BetSafe Black you’ll find a nice range of cash game, sit and go and tournament offerings. In the cash lobby you’ll find 9 and 6 player games alongside heads-up tables, while a number of games are speed ones (indicated by a flame next to the table type). The stakes at these tables range all the way from €0.01/€0.02 through to €50/€100 and you’ll have no trouble getting a game at any time of day if playing €1/€2 or below. The majority of the action is at NL Hold’em, although you will also find a nice range of other games, including Omaha, Razz, 5 Card Stud and 5 Card Draw. The Sit and Go games have the same 9, 6 and 2 seats, this site focusing almost exclusively on single table sit and goes. You’ll find standard games, turbo games and super turbo ones, where the blinds will rise every 10 minutes, 5 minutes and 2 minutes respectively. These tables can take a little while to fill at higher stakes, but micro stakes players will always find a game. The tournament offerings are wide and varied. The big event of the week is the Sunday Showdown, a €25,000 guaranteed event with a €215 buy-in, while you’ll also find a €5,000 guaranteed tournament every day. The site caters for players of all stakes, with a nice range of freezeouts, rebuys and a number of 1 rebuy and 1 add-on events. The software at BetSafe Black is smooth and fast, making for an enjoyable game. You’ll also find a nice range of table settings, the best of which is the fun setting for the recreational player or the classic one for the more serious player. The cash lobby at the Red site offers a very similar range of games to the Black site, although the upper limit is just €5/€10 games. The traffic at the site is somewhat slower, so you might have to wait some time for games at all tables apart from the smallest stakes. The sit and go offerings are quite different at the Red site, with more focus on the ‘smash n grab’ type games, where you’ll either be all-in every hand, or have very small stacks in relations to the blinds. You will find the usual standard and turbo games too, but once again, you might have a small wait for the tables to fill. The tournaments on offer at the Red site are a nice mix of games designed for players of all bankrolls. The two headline tournaments are the €20,000 High Roller with a €525 buy-in and the €15,000 Championship with a €107 buy-in. You’ll not find as many tournaments as at the Black site, while there is again something of a focus on the faster events, the many coin-flip tournaments (all-in every hand) being evidence of this. The Red site has less options when it comes to layouts in comparison to the Black site, although the table set up is a good one for the serious player. The software isn’t quite as smooth at this site, making for games which can take a little longer at times. Both the Poker Red and the Poker Black site can be played through a download version or directly through your browser, giving users great flexibility. For players who want to enjoy poker on the go, cash games and blaze poker feature on both iPhone and Android devices, while an extra bonus awaits for all new mobile players. With two separate sites to choose from, BetSafe is a great option for players. The majority of the users will almost certainly migrate to the Black site, where the playability is a little better and the level of traffic is higher. With good desktop and mobile options, a deposit bonus scheme to suit all and a range of varied and exciting games, BetSafe Poker is certainly going places.